Black Rock City is a temporary city that appears for a week and disappears every year taking different forms within the Black Rock Desert. 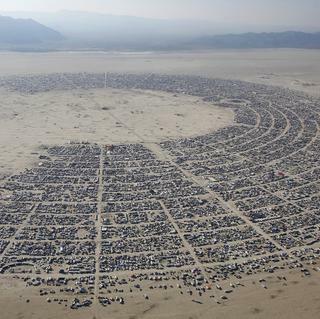 The whole venue is organized around the main square, which serves as a ceremonial space and where the main Burning Man statue is located. Around the main square the streets of the city are formed literally like shadows of a sundial.